Home > Schedule > effective communication: what does that mean? What does it mean to communicate effectively with someone who is Deaf, Hard of Hearing, or DeafBlind? 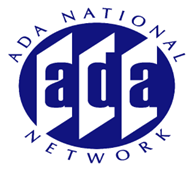 This session will begin with a brief review of the requirements in the Americans with Disabilities Act (ADA), Section 504 of the Rehabilitation Act, and the Affordable Care Act (ACA). Sign language interpreters, relay service, and captioning are only one piece of the puzzle when working toward effective communication - you are the other piece! The presenter will offer an insider's view on best practices and teamwork strategies to engage when striving for effective communication between hearing and Deaf, Hard of Hearing, and DeafBlind individuals. Case studies will be used to illustrate various approaches in achieving effective communication.